I can always tell Autumn is in the air - Smoke settles in our horseshoe shaped valley, and suffocates us for a few weeks. (or until the fires are contained) Yesterday was unreal. The air smelled of wood smoke and just being out a few minutes, gave you a headache. Not healthful for children or the elderly, yesterday wasn't healthy for anyone of any age - It was THAT bad. 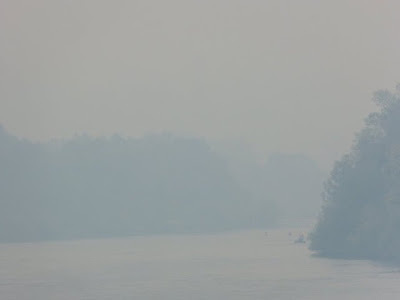 Huge fires in the North State are contributing to the unhealthful smoke in the Valley. The nearest fire is in Trinity County - east of us. The temperatures haven't been as hot as they have been - only reaching into the mid 90's. You still can't really go outside, when it is that bad - all you can do is stay inside where there is air-conditioning. I do have 3 air purifiers and that makes our living space, more comfortable. Please if you could, PRAY for OUR FIREFIGHTERS and CAL FIRE. PRAY for our communities to be safe. PRAY for all the animals that are displaced due to the fires. only the best top quality kitchen equipment from highly appreciated names in catering. resorts, institutions and much more company markets.